A Cincinnati museum director goes on trial in 1990 for exhibiting sadomasochistic photographs taken by Robert Mapplethorpe. Carl Panzram: I don't want to be alive. I want out of these clothes. I want out of this body. I want out of this world. All films that take place in prison are essentially focused on one central theme, and that is survival. Clint Eastwood was a survivor in "Escape from Alcatraz" and so was Tim Robbins in "The Shawshank Redemption." One of these stories was anchored in reality and the other was purely fantasy. But both had the same theme and so does "Killer: A Journal of Murder." The primary difference between "Killer" and "Shawshank" is that the latter is greater than the former in many various ways. But the former is also based on fact, which makes it more important--in some ways--than "Shawshank." But "Shawshank" had more spirit than the former and the former's morals don't come across as strong as the latter's. The latter, regardless of it being a completely false tale and a semi-copy of "Alcatraz," is a much better story. Even if Stephen King wrote the short story. It's the true story of a petty thief (James Woods) who claimed to have murdered twenty-one men during the 1930s, and was sent to prison under the care of a devilish warden and a new worker who had a mysterious connection with him (Robert Sean Leonard). Their relationship is never very convincing and the film doesn't do a very good job of making us care for either of its characters. Acting as a tertiary consumer, the thief kills the secondary consumer, The Bad Guard (Robert John Burke). The thief is moved to a new jail cell afterwards. He has all the cigarettes, books and magazines he could wish for, not to mention a larger cell. "I shoulda killed a man ages ago," says the thief. Is he crazy or not? Did he brutally beat the bad guy via a split personality, or was he in a right state of mind? This is the question that the film wants to press--whether the man was injustly hanged--but it never takes the idea any farther than a fleeting moment in the mind of the good jail guard who understands that prison is wrong. Hey, no society is perfect. You want them all to be let loose on the streets? You don't have any better ideas about capital punishment? Then quit whining. There are too many ideas in a film such as this. First we have the touching story of a jail guard who becomes best buddies with the notorious criminal who inhabits the place. Then we move into the Danger Zone of cliches--the mean warden, the bad jail guards who are bad for no reason, etc. Then we move on to the journal written by the thief and we get a half-hour flashback of the man's life. Then we're back in the present and everything turns into a murder trial. Then we get an unsatisfying ending where the good guy blows all his money buying beer. Say what? 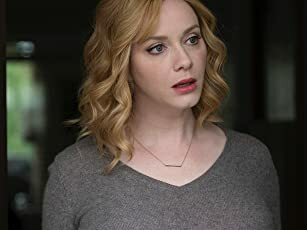 Essentially these types of films in this type of genre rely on likable characters to carry them towards the touchdown. 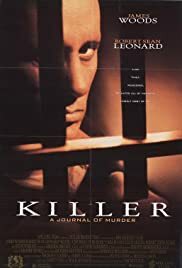 "Killer: A Journal of Murder" has none and isn't very inspiring in any sort of subtle way, which makes me wonder why--and how--it ever got green lit in the first place. 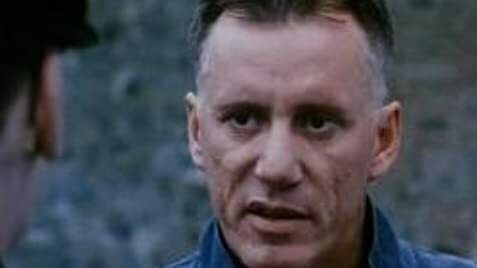 James Woods is a good actor because he can lend himself to various characters in various situations. He played a criminal in Leone's "Once Upon a Time in America," too, but he also played a radio talk show manager in "Straight Talk" and a nasty bird in "Stuart Little 2." He's played a cop before and he's played an everyman before and he's played a doctor before. He plays everything. Surprising, then, that this movie relies entirely on Woods' performance for support--and entirely fails. There's nothing wrong with it except that there's nothing behind it. There's no life in this petty criminal he portrays--a man who may or may not have been insane but was hanged in the 30s anyway. Woods lends no likeability or believability or characteristic traits to this man he is portraying, and in the end he comes across as a pointless incarnation of a man whose life, perhaps, never even merited the Hollywood treatment in the first place. This is the type of stuff Oscars are crafted and polished for, but the director had it mixed up from the get-go. The common conception is that it is hard to survive in prison. This is a well-known fact. But it's also very hard to survive yourself. That is why prison is representative of more than just bars and criminals--prison relates to all of us, and we all relate to the confinement of prison. But the common misconception is that prison automatically makes a good film. It's the exact opposite. You've got to have the material first, then put the prison in as a sort of metaphorical bridge for the characters to pass over. No one does any passing in "Killer: A Journal of Murder." It's sort of depressing in a non-depressing sort of way.